We just recently compared the new BMW 8 Series Concept with the Aston Martin DB11. Both cars are sporty and luxurious grant tourers, cars that can cross continents in speed, comfort and style. However, while the 8 Series does have a lot in common with the DB11, the car that will contend with the new Bimmer the most is the Mercedes-Benz S-Class Coupe. The BMW and Mercedes rivalry is one of the biggest in the automotive world, so naturally every time a new BMW debuts it will be compared to a Mercedes-Benz product. Plus, the S-Class Coupe is one of the best GT cars in the world. It looks great, has a superb cabin, is fast and very comfortable. The only real knock against the S-Class Coupe is that is isn’t particularly sporty. In fact, Chris Harris once said that the Mercedes-AMG S63, the fast one, actually leaves you more relaxed after your journey than before. Now, that’s a good thing if that’s what you’re after. But if you want something a bit sportier, the BMW 8 Series might be more your thing. 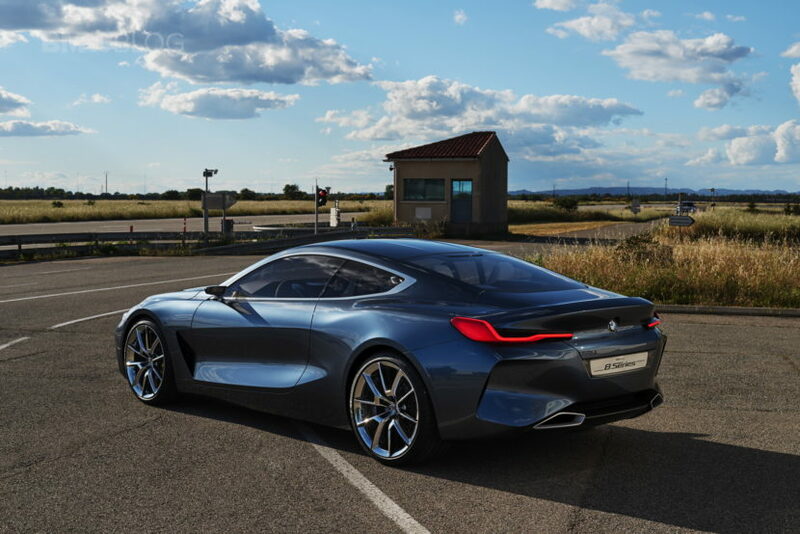 From the outside, the BMW 8 Series Concept seems significantly smaller, lower and sleeker. There’s no denying the S-Class Coupe is a big car. It’s a big bruiser with a mighty V8 (or V12) under the hood and it looks it. The 8 Series is a bit more svelte and sporty. It’s really hard to choose a car that’s better looking, as they’re both so different. The S-Class clearly has more of a luxurious and expensive presence about it, while the 8 Series seems more aggressive. From the front, the Merc seems a bit better put together, whereas the Bimmer’s mug is a bit too large and bulgy. From the back, though, the S-Class is a bit boring while the 8 Series has seductive hips and very pretty taillights. In profile, both look great. It’s really hard to pick one or the other. Inside, things are just as different. In the Mercedes, there are a lot of horizontal design elements, making the cabin feel wider and more spacious than it is. It also feels more traditionally luxurious. In the BMW, there are a lot of vertical design elements that make it feel a bit more enclosed and cockpit-like. This is done intentionally to give it more of a sports car feel and it works. It also is far more technology-focused, whereas it seems like Mercedes wants to make its tech blend with its old-world luxury. It really is a matter of choice because both interiors looks superb. If you want a GT that’s more luxury than performance, the Mercedes-Benz S-Class Coupe is probably the car for you. It’s actually relaxing to drive, looks fantastic and is beautifully trimmed and built. If you’re after a GT that has a bit of an edge, something that can kill a back road as well as it cruises, the BMW 8 Series is your car. It’s a bit sharper and more aggressive but is still luxurious. Its cabin is also very pretty but sportier and more tech-filled. So it really just comes down to taste. How can we compare when you only post one exterior and interior shot of the M-B? For now, the 8 has my vote. We’ll have to wait and see what the production version will look like. However, I really dislike that Merc interior. The interior of the 8 Series is so much more beautiful. It’s simplistic, luxurious, special and sporty… Everything an interior should be, at least for my taste. I don’t like the S Class’ interior; way too much bling and knobs and everything. The BMWs interior looks more conceptual. Let’s wait for the final offering; the one available for purchase, then let’s revisit this comparison.